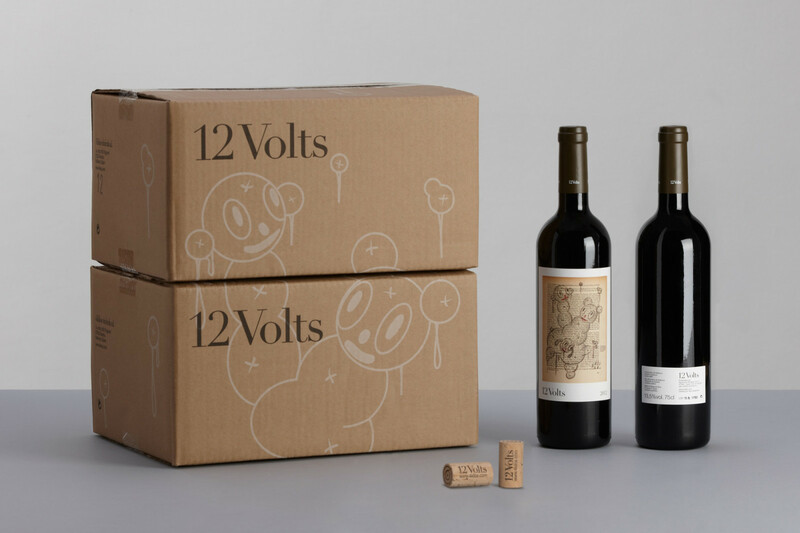 Yearly label design of the magnificent red wine 12Volts. 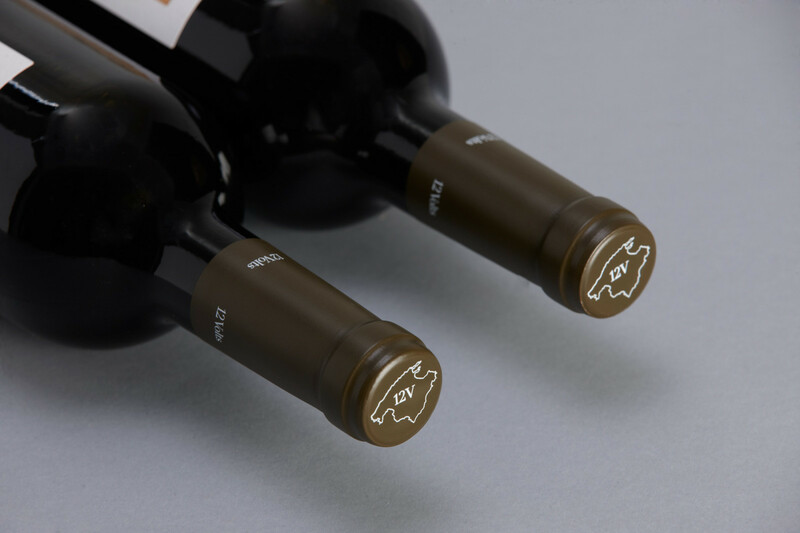 Mallorca regional wine. 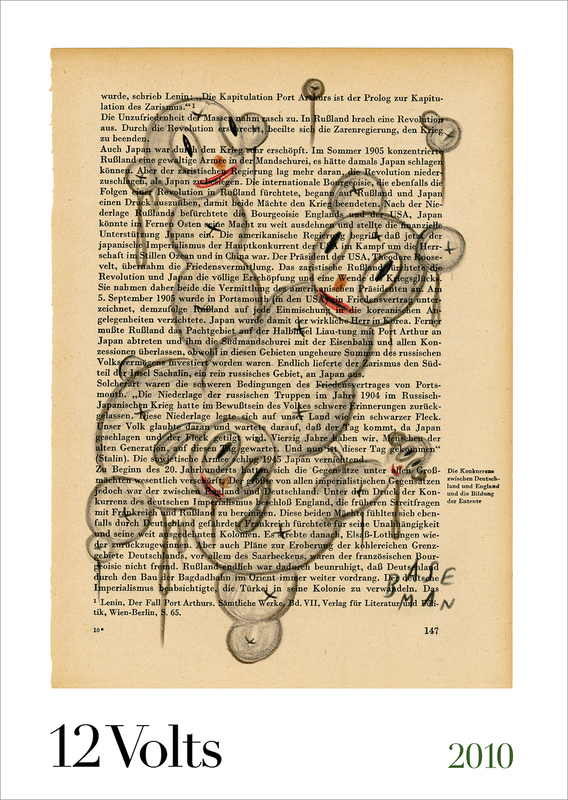 The design is based in an illustraition of Gary Baseman, drawn in an old page of a german book about Second World War.